tibet3 -- Day 7: I hitched a ride from Peruche back to Tingri. On the way we drove over the Pang La for a tremendous view of the Himalayas. 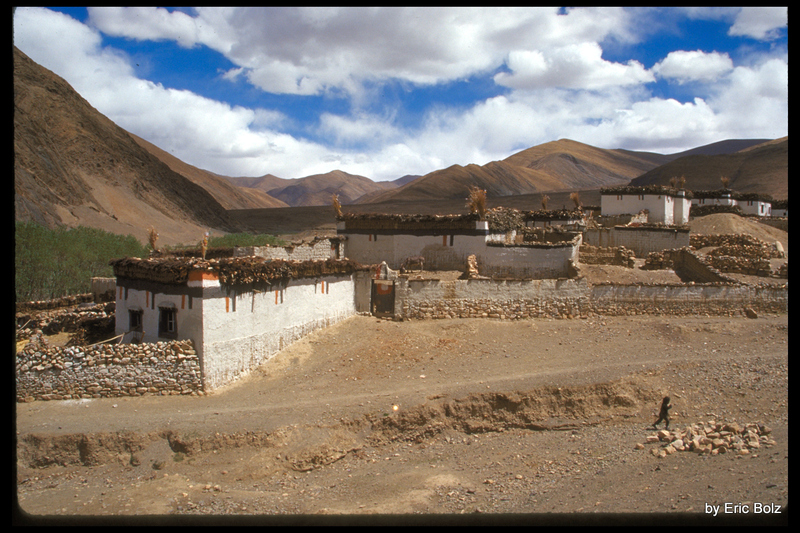 The village in this picture is Shekar where one must obtain a pass to visit the Everest Base Camp. I had crossed through this village 3 weeks earlier on my way to Kharta.